Defying her family’s wishes, each girl found an unexpected way of fighting back–as a ballet dancer shuttling Jews to safe houses and distributing resistance newspapers; as a photographer and partisan waging guerrilla war against the Germans; and as a leader in an underground Zionist group smuggling Jews across the border. 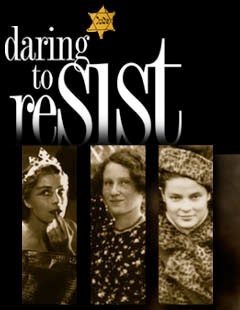 Enriched by home movies, archival footage, and previously unpublished photographs, the women’s varied and vibrant stories provide a unique look at Jewish resistance to Nazism, a subject all too often consigned to history’s footnotes. Join Dr. Amy Shapiro for a talk-back to explore the meaning of resistance during the Holocaust and the significance of Faye Schulman’s unique form of resistance.